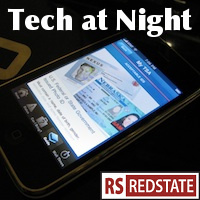 Tech at Night: Cybersecurity Executive Order needs buy in? Tech at Night: Bradley Manning confesses. Kim Dotcom whines like a stuck pig. Don’t let Pandora be a regulatory Solyndra. Tech at Night: Sacco, Vanzetti, and Aaron Swartz were all guilty. It’s time to break up the Bitcoin ring. An interesting development in the President’s Cybersecurity order: his people are going hat in hand looking for industry buy-in. Perhaps they fear actual legislation? Of course, when it comes to industry and the administration, their relationships can’t always be as cozy as Google’s with the President’s men, including the FTC Chairman. Google really is the caricature of Halliburton that existed in the minds of the radicals. Microsoft is beginning to realize their ad campaign is failing because nobody cares about privacy, it appears. Let a guy convicted of computer crimes get access to the prison network. Brilliant! Government sharing of spectrum can be beneficial, but it’s not a spectrum silver bullet. We need more spectrum freed from government use. Put the people first. Of course, some people are just afraid of innovation.